The bursary from Land Rover and the Royal Geographical Society (with IBG) is the spark that lit the Trail By Fire. Many other generous supporters have joined us on the trail! Volcanoes provide beautiful, but rough, working conditions. Typical outdoor clothing, bags, and gear has a lifetime of one volcano - and that just won't do for the Trail by Fire! Cactus Outdoor, New Zealand, make the toughest gear in the business. Their products are for anyone who plays or works hard in the outdoors. We are pleased that Cactus Outdoor have agreed to keep our backsides covered - literally. Cactus Outdoor have been doing this for twenty years now, but despite this pedigree, they're still a young company run by people who spend most of their spare time in the outdoors in various different pursuits. They have an innate understanding of what works, and more importantly what doesn't, and that understanding is shown in our products - high quality items that have been crafted with care to include all the features that are important, nothing superfluous and, above all, that are more durable than anything out there in the marketplace. The Flame spectrometer provides differential optical absorption spectrometry (DOAS) capabilities, for measuring SO2 in volcanic plumes. The high precision, high thermal stability, and configurability of ocean optics spectrometers makes the Flame useful in extreme conditions and suitable for use on quadcopters. The Flame points up at a plume from below and measures how much SO2 is present directly above it (by looking for "missing" light at wavelengths that the SO2 absorbs from sunlight). We will fly it across the whole plume (perpendicular to wind direction) to get an idea of the SO2 concentration in a cross-section. We multiply that by wind speed, then to get the SO2 flux of the volcano. This technique (a "DOAS traverse") is sometimes done by walking or driving but since you have to cover multiple km over rough terrain quickly, we will do this more easily and cheaply with a drone, which has never been attempted before. One of the major objectives of the Trail by Fire expedition is to collect samples of toxic volcanic gases in evacuated ("Giggenbach") bottles. We need to approach high concentration gas sources without compromising our personal safety. That's where Crowcon comes in. With the proven dependability of Crowcon's Gas-Pro and Gasman, we'll be able to do our work in confidence and peace of mind. As a bonus, the onboard datalogging feature will provide us an extra line of useful data and an idea of average exposure, which is especially important for those of us who will be on the expedition for more than three months. At 6,000m, every extra gram of equipment we carry has a cost in sweat and risk. That's why we were thrilled to learn how lightweight and compact Crowcon equipment is. We've lugged bulky, heavy personal gas monitors through the ice caves of Mt Erebus and been sorely tempted to leave those bricks behind. Not so with the Gas-Pro and Gasman -- we'll set these up, clip 'em on, and go about our business. The Deep Carbon Observatory's DECADE initiative (Deep Earth Carbon Degassing), is a growing international research effort within the DCO's Reservoirs and Fluxes Directorate. The goal of the DECADE initiative is to clarify quantities and movements of volcanic carbon emissions on a global scale. The DECADE initiative has forged a large international network of scientist over 11 countries bringing in complementary knowledge and experience in measuring CO2 fluxes out of the Deep Earth. The DECADE initiative is contributing valuable monetary support to the Trail by Fire expedition. Born of a lineage stretching back to the debut of the first Land Rover in 1948, today’s Land Rover Defender combines superb capability, ruggedness and dependability in one tough package. Over six decades of experience in designing and building one of the world’s most renowned four-wheel drive vehicles have gone into shaping the Defender. The Trail By Fire Defender has been modified by Land Rover's Special Vehicle Operations, (SVO) at its Oxford Road facility to create the world’s first 4x4 mobile volcano observatory. Notable modifications include aircraft grade anti-vibration mounted housing for the team's Delta Ray, an upgraded power supply, a synthetic winch, increased security, LED lighting and a side awning convertible into a full-size tent for overnight accommodation. The Royal Geographical Society (with IBG) is the learned society and professional body for geography. Formed in 1830 for 'the advancement of geographical science', today we deliver this objective through developing, supporting and promoting geographical research, expeditions and fieldwork, education, public engagement, and geography input to policy. The Society aims to foster an understanding and informed enjoyment of our world. The RGS-IBG holds the world's largest private geographical collection and provides public access to it. Thermo Fisher Scientific Delta Ray Isotope Ratio Infrared Spectrometer. Utilizing state-of-the-art mid-infrared spectroscopy, the Thermo Scientific™ Delta Ray™ Isotope Ratio Infrared Spectrometer (IRIS) enables simultaneous determination of δ13C and δ18O isotopes in CO2. This analyzer empowers you to make profound scientific discoveries in a wide variety of research fields like greenhouse gas monitoring, ecology and plant science, volcano monitoring, carbon storage and sequestration. The Delta Ray is the newest, most cutting-edge tool in volcano monitoring, and has only thus-far been employed at a few volcanoes. The special power and compressed gas requirements for running the Delta Ray were key issues expertly addressed by the Special Vehicle Operations group at Land Rover. It will permit continuous measurements of ambient, atmospheric CO2, as well as targeted sampling of volcanic plumes, fumaroles, and hydrothermal vents. Trail by Fire's unmanned aerial vehicle requirements are quite the list: we needed something that can fly at high altitude, in rough air, for an extended duration, and pack compactly enough to fit three in the Land Rover. On top of that, we needed to be able to customize every detail of the aircraft to suit our gas sensing and collection needs. We found that no other aircraft on the market rivals the TurboAce Matrix in these areas -- it's been demonstrated to perform well at Everest Base Camp, can fly for up to 45 minutes, and folds smaller than any other design in its class. 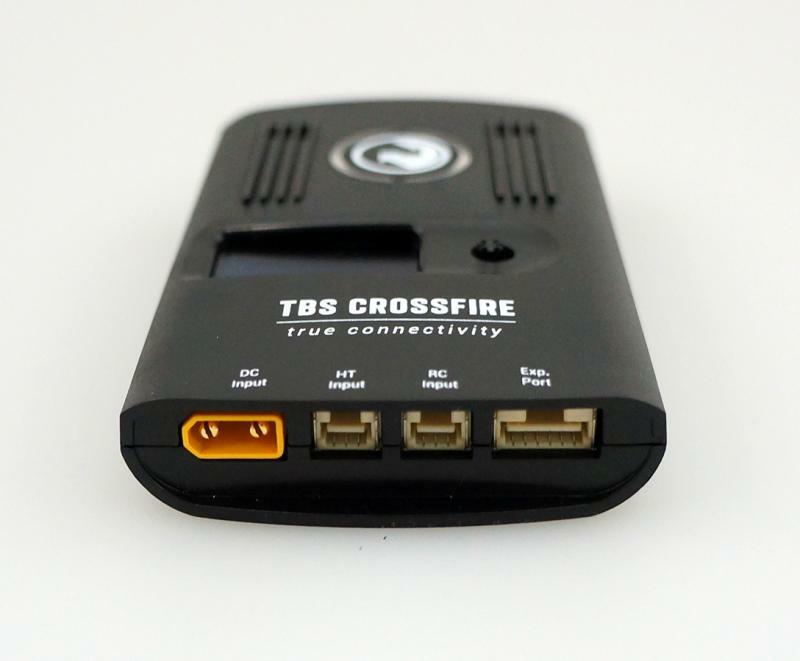 To stream all our data back to the ground station live, we use a fantastic new technology: TBS Crossfire radios provided by Team Blacksheep. TBS has a long history of pioneering technologies for unmanned aircraft, and using them to go above and beyond. We've experienced wonderful hospitality all along the Trail by Fire. But when we made an unplanned stop in Chillán following its eruption, Corinne and René at Basecamp really went above and beyond, providing everything we needed to make our work successful and our stay comfortable. Their motto "stay with people who care" is no idle slogan -- it's clear they care about the community, the environment, and about volcano science! Las Trancas is a paradise any time of year, and it was difficult to leave Basecamp and to move on to our next volcano. To employ the Delta Ray Spectrometer, we need to physically obtain gas samples directly from volcanic plumes, which are often far overhead or out of reach. Engineer and inventor Ben King is applying his skills in complex mechanical systems design to create a custom Tedlar Bag gas sampling device to be mounted on one of the quadcopters. The system will pump gas into 1L bags made out of a special plastic called Tedlar, inside a plastic box on the quadcopter. It's a vacuum sampling system, meaning that the bags are in a box, and instead of pumping gas into the bags, we pump the air out of the box. This avoids putting the sample through the pump, because the pump could be a source of contamination. Once we have the gas on the ground, we'll run it on the Delta Ray to get theδ18O andδ13C ratios in the plume CO2. Giggenbach bottles consist of evacuated cylindrical, round-bottom flask of 300ml made of Pyrex glass. The flask are used for collecting direct samples of the gas released by fumaroles and boiling springs. These bottles are used to take pristine samples of volcanic gases before they interact with the atmosphere. The gas is trapped in the bottle and sent back to the lab for complete analysis. The “Multigas” is an in situ gas sensing instrument developed by researchers at INGV-Palermo (Sicily, Italy). The instrument consist of a series of electrochemical and nondispersive infrared (NDIR) sensors. The electrochemical sensors produce an electrical current in response to the presence of specific target gases. This current is proportional to the concentration of the target gas in the total gas volume hence allowing retrieval of the composition of the volcanic plume. The instrument allows measurement of all major elements in volcanic emissions: CO2, CO, SO2, H2S, H2 and H2O. The ultraviolet camera allows measurements of the plume emission dynamic, given its high acquisition rate (up to 1 Hz), as well as the quantification of gas volume released from volcanic explosions. We use a dual-set of Apogee Alta U260 ultraviolet cameras. During measurements, each camera is coupled to a Pentax B2528-UV lens, with focal length of 25 mm allowing a full angle field of view (FOV) of around 24 degree. Immediately in front of each lens, a 10 nmfull width at half maximum bandpass filter is placed: one filter centered at 310 nm where SO2 absorbs and the other at 330 nm outside SO2 absorption region. Image acquisition and processing are achieved using Vulcamera, a stand-alone code, specifically designed for UV-Cameras. We use 4 SO2 calibration cells (94, 189, 475 and 982 ppm.m) to calibrate the qualitative measured apparent absorbance. We also achieve this calibration using UV spectrometer pointing at the same target as UV-cameras. To retrieve the plume speed, essential for the SO2 flux calculation, we use two parallel sections in our data series, perpendicular to the plume transport direction. The infrared camera is used to map thermal features on the volcanoes and measure puffing emission at any volcanic vents to retrieve gas output dynamics. We use the OPTRIS PI400 in our thermal infrared survey on volcanoes. The sensor is the smallest of its kind (320 g). It has a spectral range of 7.5-13 µm with an optical resolution of 382x288 pixels. The temperature ranges are -20°C – 100°C, 0°C – 250°C and 150°C – 900°C. The instrument has a maximum frame rate of 80 Hz and we use a 8 mm lens allowing a FOV of 62°x48°. EO 1 is a NASA satellite launched in November 2000, carrying the Advanced Land Imager (ALI) and Hyperion instruments. ALI is a multispectral sensor that acquires images at ten wavelengths across the visible and short wave infrared, covering a large geographic area. These images can be used to study plume morphology and freshly erupted hot lava that radiates strongly in the short wave infrared. Hyperion, in contrast, is a hyperspectral sensor that acquires hundreds of images at small spectral intervals over, allowing us to resolve interesting spectral features in the radiation emitted or reflected by volcanic surfaces and processes. All EO-1 images are acquired using the NASA Volcano Sensor Web (VSM) with the help of Ashley Davies of the Jet Propulsion Laboratory – California Institute of Technology . Terra is another NASA satellite launched in December 1999, carrying the Advanced Spaceborne Thermal Emission and Reflection Radiometer (ASTER). This instrument acquires images in the thermal infrared, allowing us to capture the spatial extent of the ‘fingerprint’ left in the thermal spectrum of infrared light when it passes through a cloud of volcanic gasses, sulphur dioxide in particular. This fingerprint can be used to calculate gas masses and fluxes, and integrated with ground based measurements to give a synoptic picture of volcanic degassing. ASTER images are acquired with the help of David Pieri of the Jet Propulsion Laboratory – California Institute of Technology . 1 The Earth Observing-1 (EO-1) spacecraft is managed by NASA's Goddard Space Flight Center, Greenbelt, Maryland. EO-1 is the satellite remote-sensing asset used by the EO-1 Volcano Sensor Web (VSW), developed by NASA's Jet Propulsion Laboratory, Pasadena, California, which is being used to monitor volcanic eruptions around the world. 2 ASTER-derived data products area supplied via the JPL ASTER Volcano Archive supported by the NASA Science Mission Directorate. The Advanced Spaceborne Thermal Emission and Reflection radiometer (ASTER) is a cooperative effort between NASA, Japan's Ministry of Economy, Trade and Industry (METI), and Japan Space Systems (J-spacesystems).